1. Make a yuzu dressing. Juice the yuzu and save the juice in a container. Add a pinch of salt to the juice and stir to dissolve. Add the olive oil and stir well to create an emulsion. Stir in half of the tonburi. Set aside in a cool place. 2. Cut out 4 triangles of tatami iwashi about 3 cm wide and 6 cm long. Place them on a lightly oiled baking tray (This oil is not included in the list of ingredients). Lightly oil the bottom (exterior) of a second baking tray and place it on top of the tatami iwashi. Place the two trays together in an oven set on low heat. This is to dry the tatami iwashi to a crispy texture. If you don’t have an oven, you can toast the tatami iwashi triangles in a lightly oiled frying pan. 3. 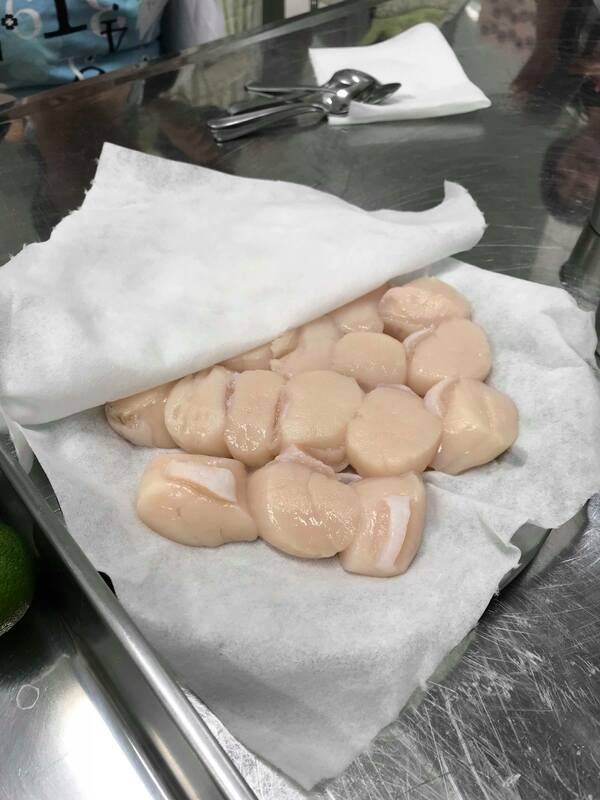 Cut the scallops into 4 or 5 slices depending on their thickness. 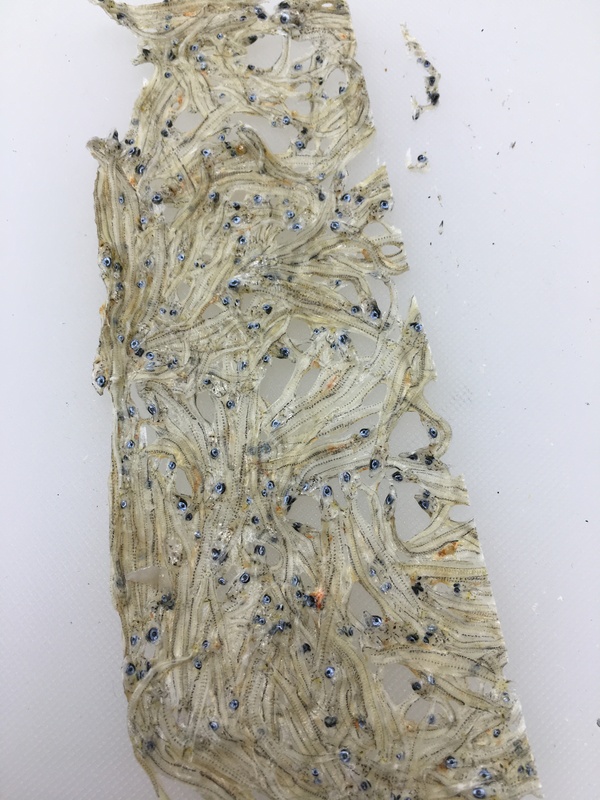 Form the slices into 4 rosettes on a piece of parchment paper. Cover each portion with plastic wrap. Keep these in a refrigerator while you work on other things. 4. Place each of the scallop rosettes in the center of a plate. Use a brush to apply some of the yuzu dressing to the scallops. Place some of the sprouts in the center of the scallop rosette and season with the remainder of the yuzu dressing. Garnish each plate by sprinkling with tonburi and adding a tatami iwashi triangle. 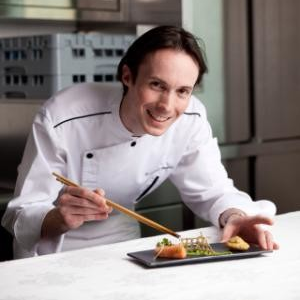 Chef Audrin acquired his cooking skills working for top-flight restaurants – Michelin-starred establishments among them – in several countries in Europe and beyond. He has also served as the chef for the Ambassador of the European Union in Japan and the Executive Chef for the luxury yacht Christina O. Chef Audrin first came to Japan in 2011 and is now on his second stay. 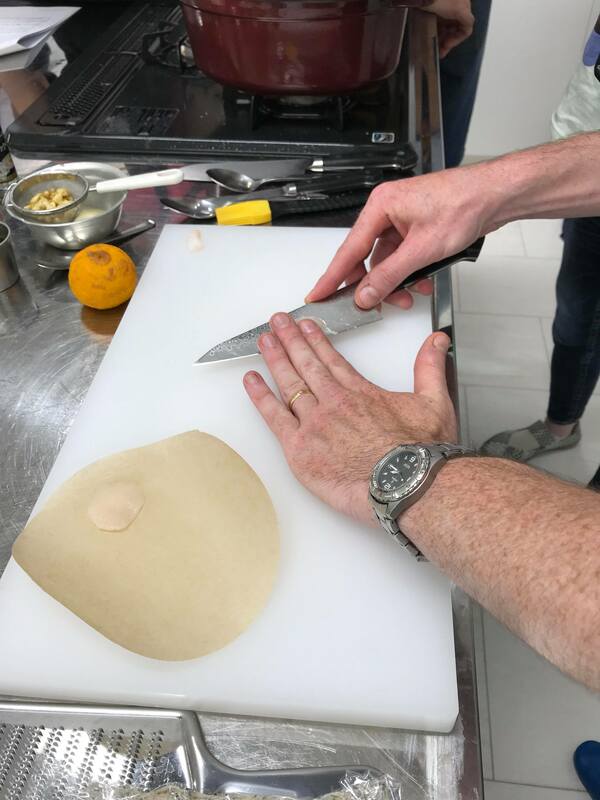 A consummate culinary professional, he has used his time here to learn about Japanese foods and devise ways to use Japanese ingredients in French dishes.